Finally. FINALLY. Someone has reached into my dreams and made them a reality. I can tell everyone about my adventure with the dinosaurs, and then show them pictoral proof to back it up. I mean, can you imagine a photo of Mr. Geek and I RIDING A DINOSAUR framed above a fireplace? Forget wedding photos, this is where it’s at. In case you have any doubt, we would make sure we were suited up in our best safari gear and hats. It’s all about the authenticity. Dinoprints were originally designed for children, but I can’t imagine someone who wouldn’t enjoy this gift. It’s an illustration of a dinosaur with an image of the person of your choice riding it. 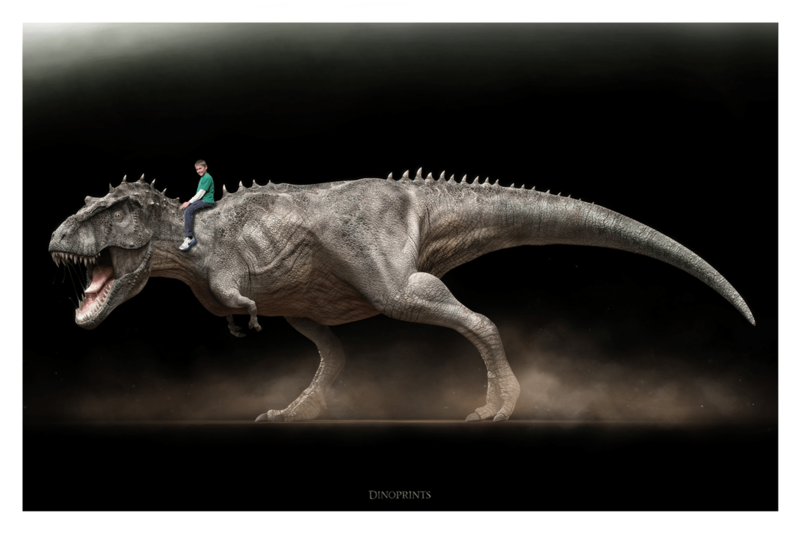 You can purchase a print of the dinosaur of your choice (T Rex, Woolly Mammoth, or Spinosaurus) for $40 at Fab.com. If you miss the sale, they’re normally $49.95 at DinoPrints.com. I can’t even put into words how excited I am. Geek Etiquette: Be Nice on the Internet!